If you’re young enough and heard this song for the first time, you’d instantly think “Regulate” by Warren G (1994) from the first note. Reality is us elders and/or those in tune with music aged 35+ years know we’re about to groove with Michael McDonald for 3 minutes and 39 seconds. 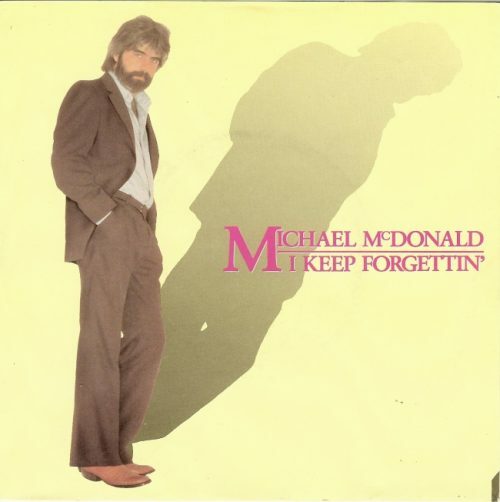 McDonald’s known far more for his excellent work with the Doobie Brothers than a solo artist, but “I Keep Forgetting” was a hit in 1982 and a song prominent on my mix tapes. The song is hardly a lyrical masterpiece, but McDonald’s unmistakably unique sound finds you humming along to his chorus, voluntarily or not. Chart Success: Peaked at number-four on the Billboard singles chart but finished just 81st on the 1982 year-ending Billboard chart. Sad! Fun Fact: While this was McDonald’s signature single, he wasn’t exactly a one-hit wonder as a solo artist. “Sweet Freedom (spoiler: you won’t see this over the coming days) peaked at seven on the Billboard singles chart.